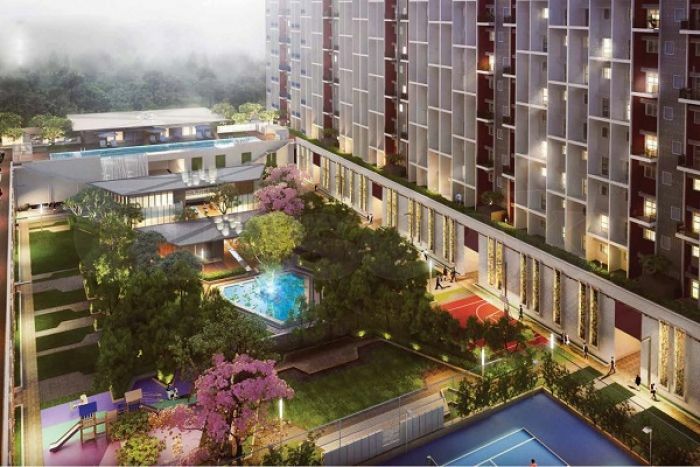 The Godrej Alive is an upcoming project developed by Godrej group of builders and located at Mulund Thane Circle. The project spreads on 6.7 acres with lots of amenities. This project offers 2, 3 and 4 BHK luxurious apartments with spacious bedrooms and other world-class facilities along with premium specification to provide a comfortable lifestyle. A Godrej property at Mulund Thane is your new address for your happy lifestyle. Talking about this project will have apartments that will range from 2BHK to 4BHK so you can buy according to your needs without doing any compromise on space and facilities. This project has an innovative design, grand finish and amazing look of the project is what makes us special and unique. For anyone who wants to buy a quality home with beautiful surrounding, investment in the project Godrej alive Thane Circle residential project located in Mumbai is one of the wisest and future safe decisions you can take. The Godrej alive Thane Circle Project location will have an entrance with a excellent view which will make you feel mesmerized as soon as you step in also with more than 50 percent open space with greenery, activities like activities like bungee dancing, Tai Chi, digital workout that activate the mind, body and soul, Godrej Alive Mulund, Thane Properties is a mix of nature with luxury. Godrej Thane project will have large corridors along with 5 elevators in each tower also the project will have two basements and there will be constructed in the Apartments. There will be a large parking space along with this all the project is surrounded by greenery thus providing you and your family ample amount of fresh air throughout the day. To make your life easy and more enjoyable there are a lot of world-class facilities which are present there in the Godrej Alive Project. The project consists of music jam room, squash court, culinary club, bungee dancing and air yoga surely help in releasing the stress from your brain and body after a hectic day. Some more amenities which are present in the project are kids zone to keep your children happy, senior citizen club, an observatory with a telescope yes you read it correctly, running track and aqua gym are some of the world class luxurious amenities which you can’t find in other similar projects of other builders. So, come and explore this beautiful project designed for those who always wanted to have best. Grab this opportunity of buying a dream home in the heart of city now.